Twice a month, we like to give our sponsors a special shoutout. Doing so allows us to thank them for their support, as well as update readers on our sponsors’ happenings. If you’re looking for some cold weather knits and accessories, The Hanger Project just dropped prices in their closeout sale. Select items are now available at 20% off. 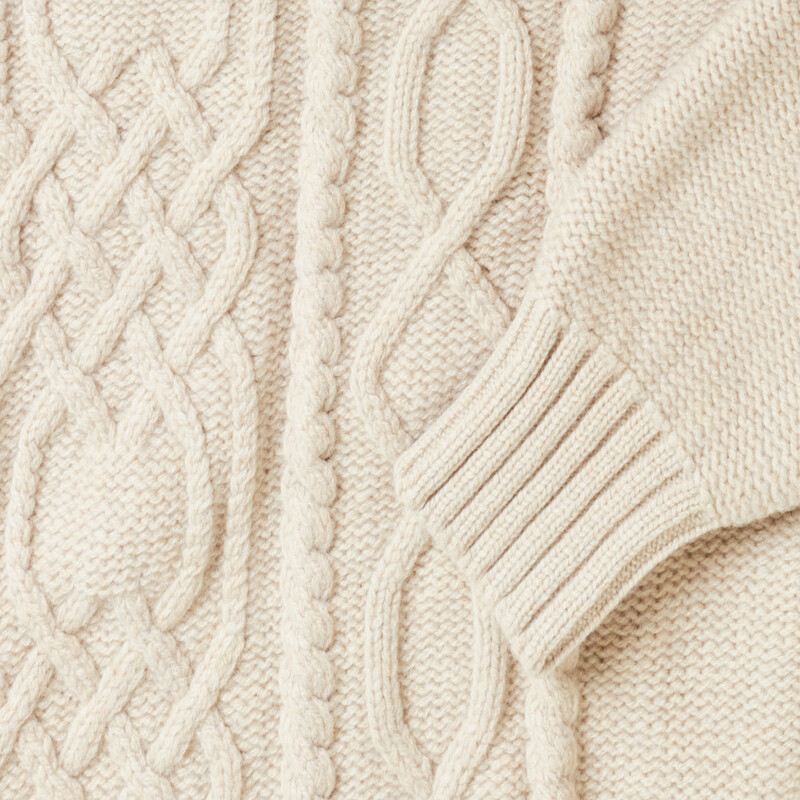 Included are plush cashmere-blend sweaters from Inis Meain, which is located on one of the more remote Aran islands. There are plenty of knitters in the Aran Islands, of course — the region has been long known for their knitwear — but Inis Meain is unique in that they’re the only one that specializes in high-quality knits aimed at the luxury export market. Their “Celebration” knit, pictured above, is modeled after something people on the islands used to wear as their Sunday’s best. The Hanger Project had them remake it in a softer, higher-quality yarn and hand-link the seams for a smoother finish. 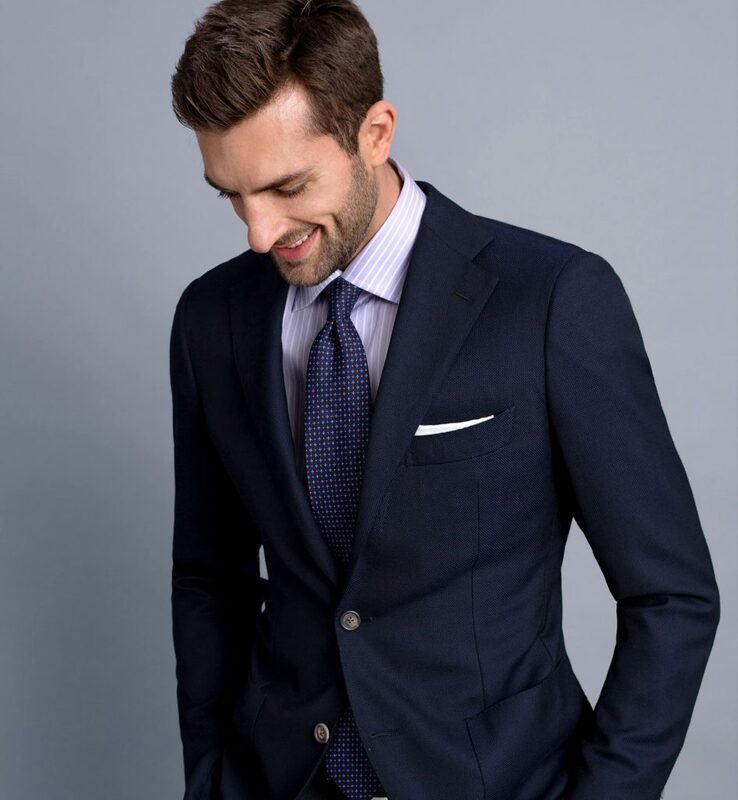 Having built a reputation on solidly made, custom dress shirts, Proper Cloth has taken their expertise into other areas of tailoring. In the last year, they’ve introduced a made-to-order program for suits, sport coats, and trousers. These are made-to-order, not made-to-measure like the company’s dress shirts, because of their more complicated constructions (Proper Cloth says they’ve been careful to make sure they only offer quality products to customers). But the block patterns are adjustable to almost any size, from 28 to 64 in jackets to 26 to 60 in trouser waists. 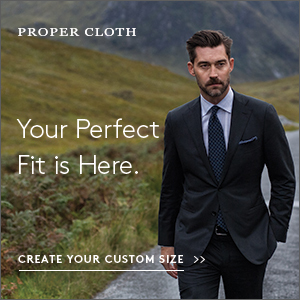 And Proper Cloth allows you to customize the fit — athletic, slim, extra slim, classic, long, short, and so forth. At the moment, they have their winter collection up, where you can order cashmere and flannel checked sport coats in either half-canvassed or unstructured constructions. 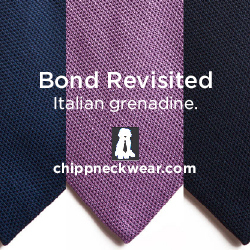 Paul over at Chipp Neckwear tells us there will be a small price increase for his grenadine neckties next month. This is because he’s facing higher prices on labor and imported Italian silks. If you want to order now, however, and find that the tie you want is out of stock, he says he can create a back order on file at the current price. Just contact him through his website. Grenadine, as many readers know, is often heralded as the most versatile necktie you can own. The material is known for its honeycomb texture. In solid colors, such as the ones you’ll find at Chipp, they help anchor patterned suit and sport coat ensembles. At the same time, their unique texture lends visual interest to plainer outfits. Get them in basic dark colors — navy and black are good starting points. After that, burgundy, dark green, and brown can also be useful. Looking for new socks? 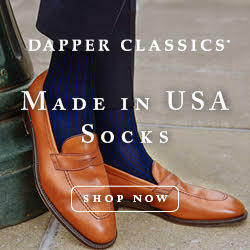 Dapper Classics is gearing up to put their new spring collection on their website in the next few weeks. Coming are some fresh merino and cotton varieties, both solid-colored and patterned, which you can pair with your flannel trousers and single-leather-soled loafers. These are made in the USA and have hand-linked toes, which eliminates the bumpy seam at the front. 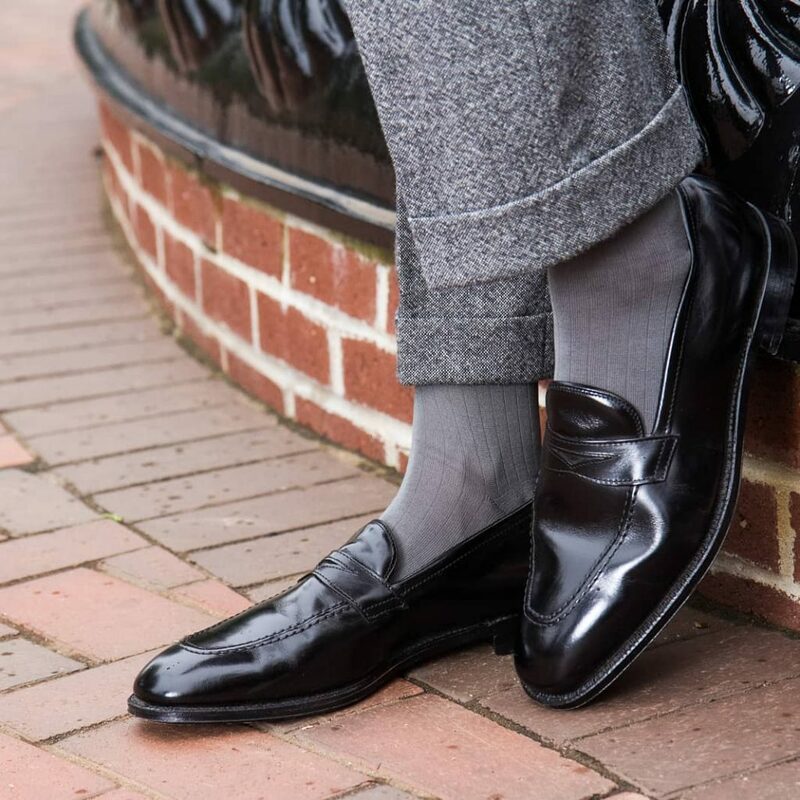 For a conservative look, buy socks in a color that either match your trousers or are one shade darker. Grey socks go with grey trousers; tan socks go with tan trousers. And, as usual, solid navy goes with everything. You can always find your basic dress shirts at Ledbury, but the company also has uniquely designed button-ups that can do double-duty for the work week and weekends. For winter, this includes their rustic plaids, speckled flannels, streaky indigo plain weaves, and rustic microcords (sort of like the thing you’d expect in an outdoorsman catalog, but can actually work in the office). The shirts are finished with Ledbury’s button-down collars and a shortened body length, which allows you to wear them tucked in or out. 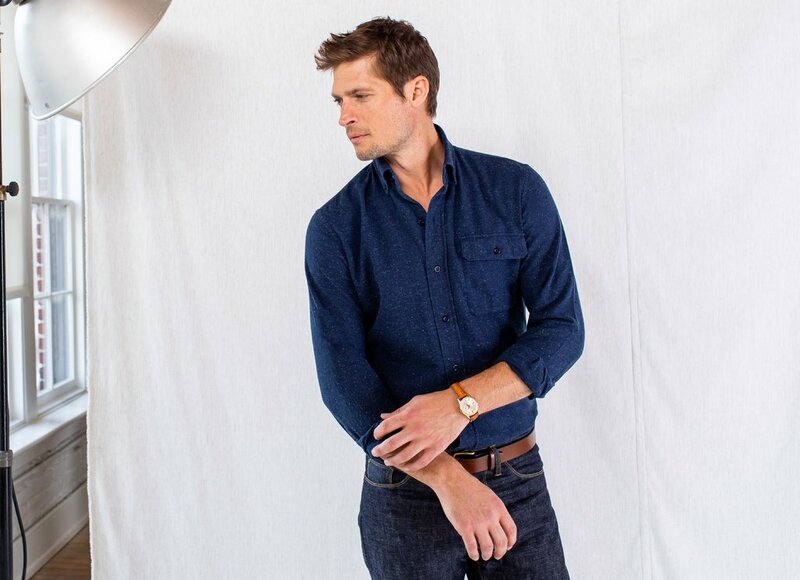 Ledbury is also prepping to drop their new spring collection soon (on the site now are some fresh ginghams). Most men’s clothing derives in some way from war or sport, but few things in our wardrobe have a more direct connection to modern sportswear than rugbies. 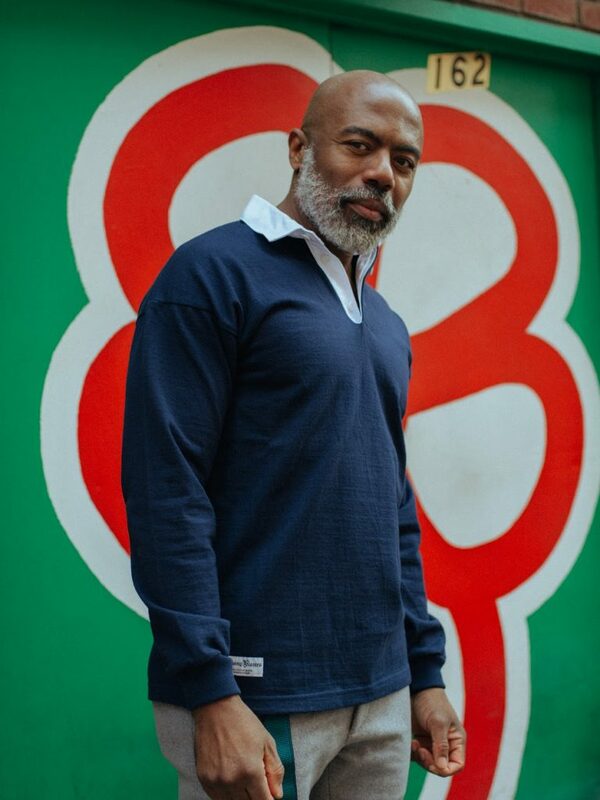 The collared pullover style has been a staple for a certain kind of Northeastern prep look for decades, but rugbies also come in many other flavors. There’s David Hockney’s “art dude” rugby look, Yvon Chouinard’s “1970s rock climbing” rugby style, and Italian Paninaro youth culture. Our friends at Rowing Blazers have been making the kind of authentic, heavyweight rugbies that men used to wear out to the field 50 to 100 years ago. This February 7th, however, they’re introducing a new variety they call “dad rugbies. 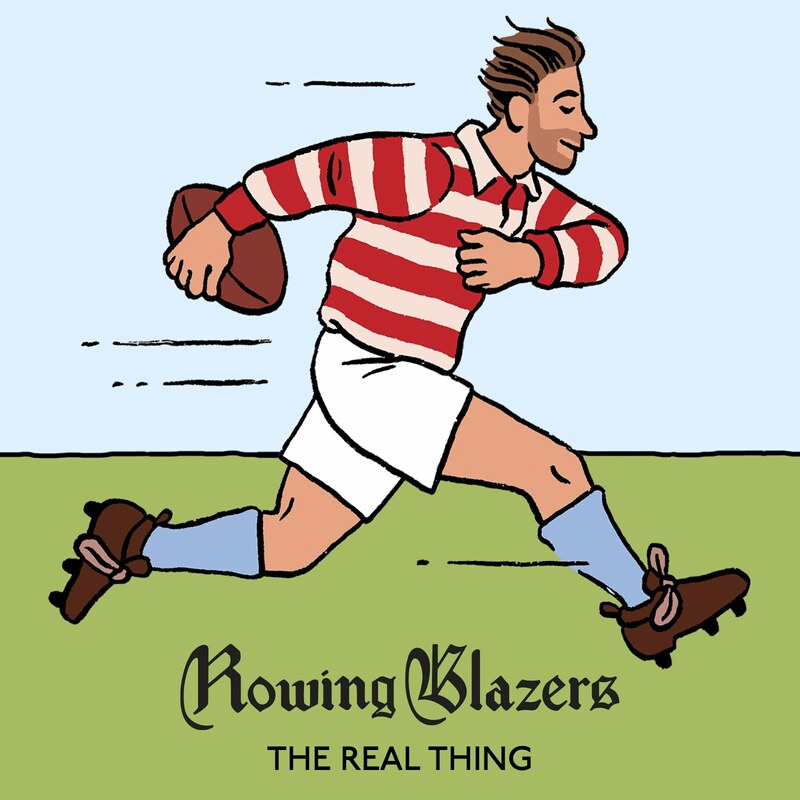 “We’re drawing on a very different reference for this release: the rugby shirts of 1980s catalogue culture; the rugby shirts worn by outdoorsmen, weekend warriors, dads of all shapes and sizes in the late 20th century,” says Rowing Blazer founder Jack Carlson. “These are slightly lighter weight and baggier than our ‘authentic’ rugby shirts, and have a twill collar instead of a knitted collar. They will retail for less than our ‘authentic’ rugbies and won’t have embroidery.” Expect them to come in a slew of goldenrod yellow, hunter green, deep burgundy, and other preppy colors, both solid and striped.